No matter which locks you’ve got, they will need some repairs from time to time. And when you need lock repair service in Woodbridge, you can ask the help of our experts. Our local locksmiths are experienced with all locks. Whether you need to fix high security locks or bedroom locks, we can help. 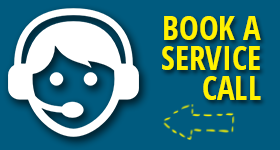 As for services, there is a wide range of what we can do for you. It always depends on the problem. At Woodbridge Locksmith, we offer lock services to ensure security. That’s when your high security locks are not in a good shape. In this case, they might keep you locked out or locked in. They might keep you from locking the door. When it comes to such problems, rely on us for emergency lock repair in Woodbridge, Ontario. How quickly do we respond for a lock repair service? We are very quick. When there is a need for a high security lock repair service, there is no room for delays. Every minute counts. Whether problems strike day or night, our tech will be there to fix up the lock. You can rest assured that our pros are qualified, licensed, and trained to repair all kinds of locks made by any brand. Do we only offer door locks repair? We provide door locks repair, but also fix window locks. You can ask us to replace cabinet locks or fix the panic bar. You can turn to us when the interior office locks need rekeying or repairs. Our expert will be there to urgently open the bathroom door when your kid is locked inside. But we can also repair interior door locks. Call us to fix sliding door locks too whether or not they operate on a multiple point locking system. 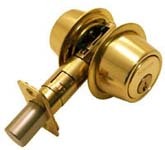 Contact us to repair house lock and commercial lock systems of all sorts. Leave all Woodbridge lock repair service needs to our experts. No matter which lock is giving you trouble and regardless of the nature of the problem, call our company for an expert service.